Seeing the flower can sometimes be the only evaluation option prior to purchase. It is important to know the visual cues to identify remarkable cannabis. 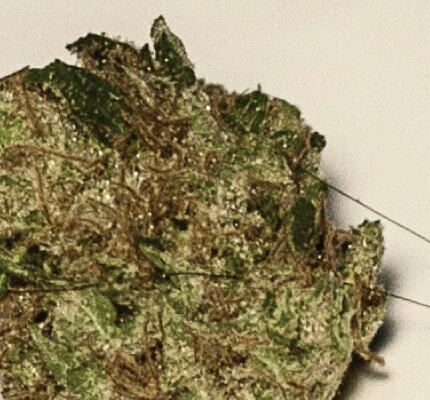 Aspects of the flower to examine are: trichome content, color, structure, size and trim. The abundance of trichomes on the flower is an indication of high quality cannabis. Tiny crystal-like resin glands covering the flower contain the flavor and aromatic components of cannabis as well the cannabinoids. The most common cannabinoids are THC (Tetrahydrocannabinol) and CBD (Cannabidiol). They can make the flower appear crystallized or “frosty” and glisten in the light. 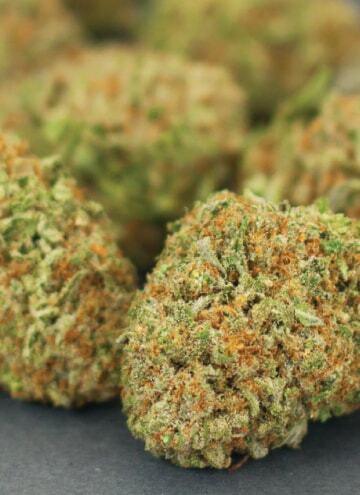 Color is one of the most noticable traits of a healthy cannabis flower. The following colors are strong indicators of a high quality plant: Healthy, vibrant shades of color can range from green, purple and orange. 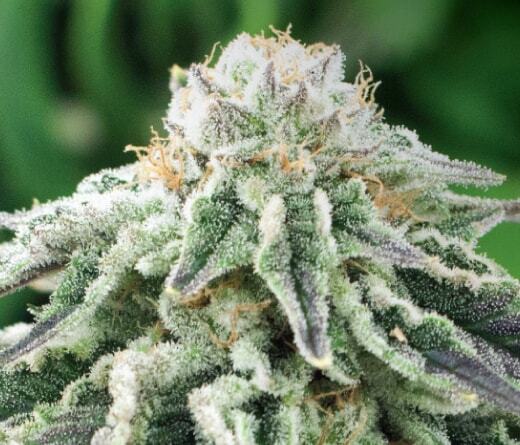 An abundance of trichomes can make the flower look silver-grey to white. 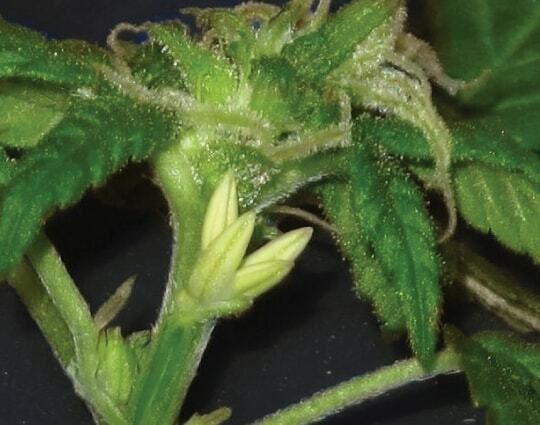 When pistils (hairs) are present on the flower they can range from a light yellow to a deep reddish hue. When combusted, high quality cannabis will burn a white grey ash. Vaporizing cannabis does not produce ash. What to look for: Tight trim. Proper trim removes extra leaf matter revealing the flower. The flower reveals the structure and integrity of the flower. Excess leaves may lead to a harsher taste. Unwanted leaf material and excess stem are removed. The only portion of stem that should be visible is at the base of the flower from where it was attached to the plant. What to avoid: Over-trimmed flower. The flower has obvious cuts and slashes into the flower. The individual flowers have been cut and the trichomes have been broken and knocked off (kiefed) resulting in less trichomes and less of the psychoactive and/or therapeutic content. It exposes the discoloration from the inside of the flower that doesn’t see light. The flower can look discolored and misshapen. 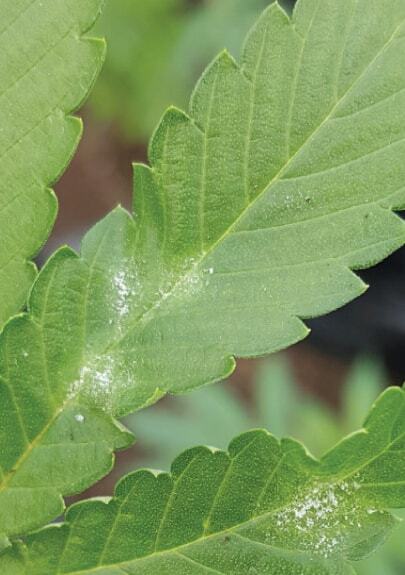 Mildew can be mistaken for trichomes to the untrained eye but there are visual differences: Mildew is whiter and doesn’t glisten in the light. Can look like baby powder versus sugar crystals. 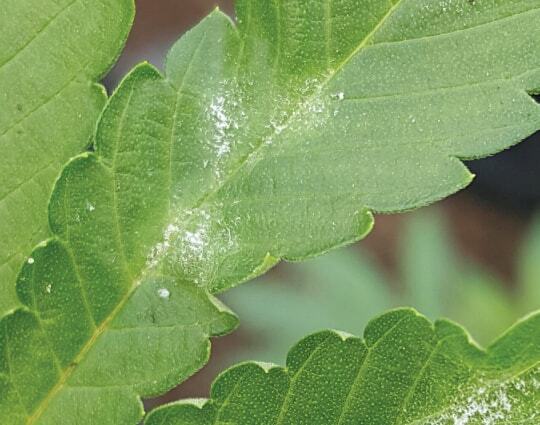 Mildew has a cottony, web-like appearance under a microscope. Mature seeds are brown with black “watermelon stripes” whereas young seeds are a light green or grey in color. 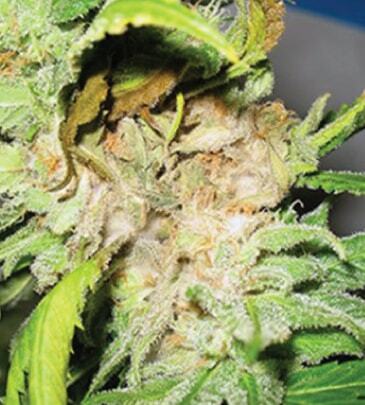 Also known as bud rot or grey mold: It is brown or grey decay on or inside the flower. Mold typically develops from the inside out. Post purchase, you may crack the flower open to see the brown or grey decay/rot/mold starting from the stem outward. Stamens appear when the plant hermaphrodites, developing both male and female flowers. 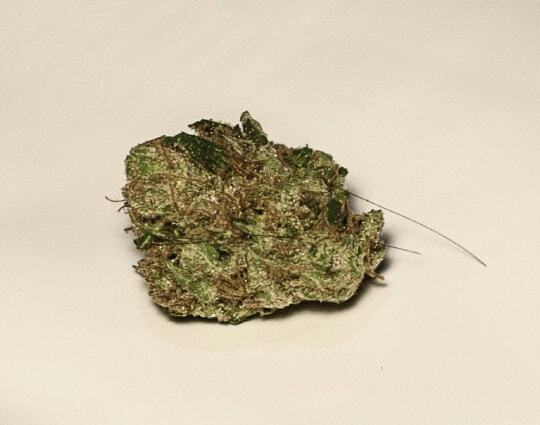 An obvious red flag is the presence of human or animal hair found in cannabis. Gives when squeezed but bounces back to its original shape when released. 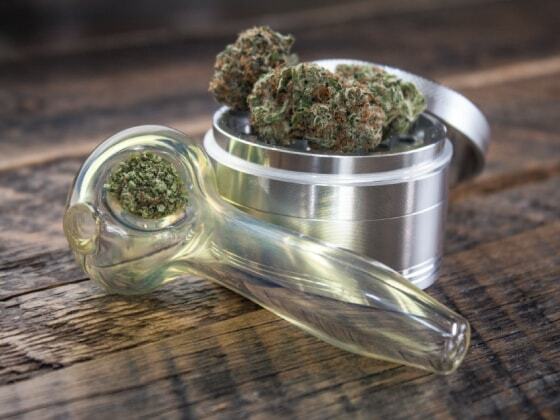 MORE DENSE STRAINS MAY NOT BOUNCE BACK AS MUCH. Should have a sticky or tacky (resinous) feel. FINGERS CAN BE LEFT WITH A STICKY FEEL. IF THE FLOWER IS TOO WET, IT HAS NOT BEEN PROPERLY CURED. The internal stem should snap, which means it was properly cured. THE STEM IS DRY BUT THE FLOWER HAS A LITTLE BIT OF MOISTURE. WHEN BROKEN IN HALF, THE STEM WILL HAVE A DEFINITIVE SNAP IN THE HANDS AND CAN SOMETIMES HAVE AN AUDIBLE SNAP. The flower should be tight in your fingers. DRY, LOOSE FLOWER IS AN INDICATOR OF POOR QUALITY. 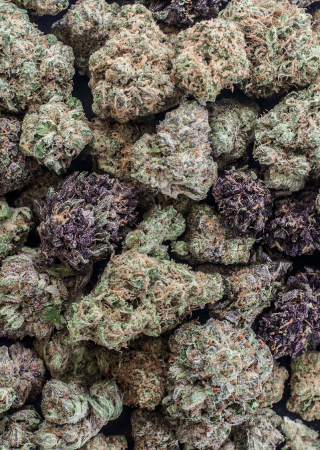 Here are a few things to consider as you learn to distinguish between different flavors in the flower strains. The aroma may set up the flavor. OFTEN, THE AROMA OF THE FLOWER WILL MATCH THE TASTE. The taste should be pleasant and enjoyable, never harsh. IT SHOULD BE SMOOTH AND NOT BURN YOUR MOUTH, THROAT, OR NOSE. 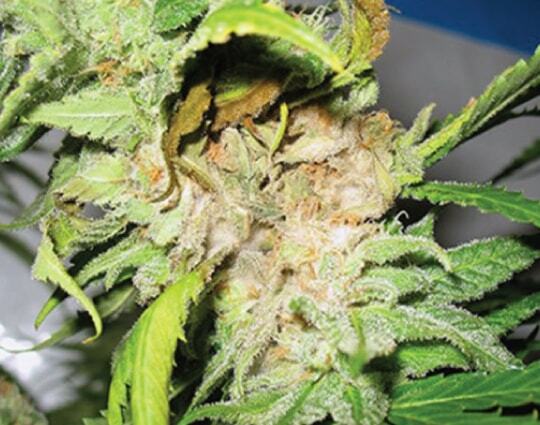 Poor quality flower will leave a severe, harsh taste in the back of your throat and mouth. The seeds will taste like burnt popcorn. Vaporizing may not provide as accurate a flavor profile. Load just enough fresh cured flower in the bowl for one hit. The first inhale offers the best opportunity to taste the full flavor of the flower. GROUND OR BROKEN UP FLOWER WILL ALLOW AIR TO DIFFUSE EVENLY WHEN SMOKED, PRODUCING ENHANCED FLAVOR CHARACTERISTICS. Hold flame to the flower while inhaling just long enough to ignite the bowl. IF USING MATCHES, ALLOW TIME FOR THE SULFUR TO BURN OFF. USING A REFILLABLE LIGHTER COULD AFFECT THE FLAVOR PROFILE OF THE FLOWER. To enjoy the full flavor, inhale briefly before exhaling. TAKE A SMALL “HIT” OR DRAW FROM THE PIPE (LIKE SIPPING WINE). 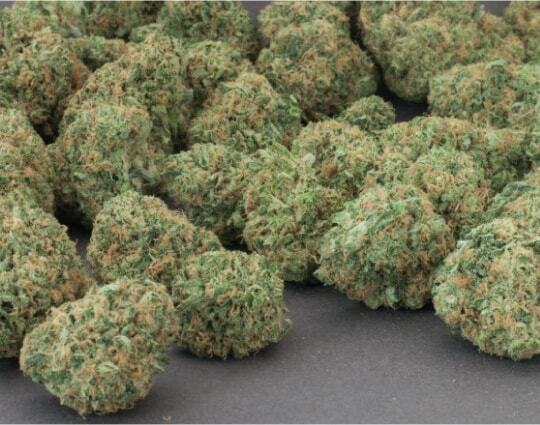 No matter the strain, the first sensation that comes from cannabis is the sensation of lift, or of being high. THC can be characterized as a stimulant. Varying experience levels may affect how people feel with each strain and the amount of time people are lifted. The amount of cannabinoids that just entered the body (how much has been consumed) and body chemistry may also play a part in the sensations that come from cannabis. Start slow, go slow. START LOW, YOU CAN ALWAYS CONSUME MORE. FLOWER IS THE MOST GENTLE CONSUMPTION METHOD. ONSET EFFECTS ARE IMMEDIATE AND MAY START TO DISSIPATE AFTER 2–4 HOURS. EVERYONE’S METABOLISM AND EXPERIENCE LEVEL IS DIFFERENT, VARYING THE AMOUNT OF TIME THE EFFECTS ARE FELT. Some side effects may include: DRY MOUTH. Some studies have shown pain relief and relaxation with a higher CBD to THC ratio. 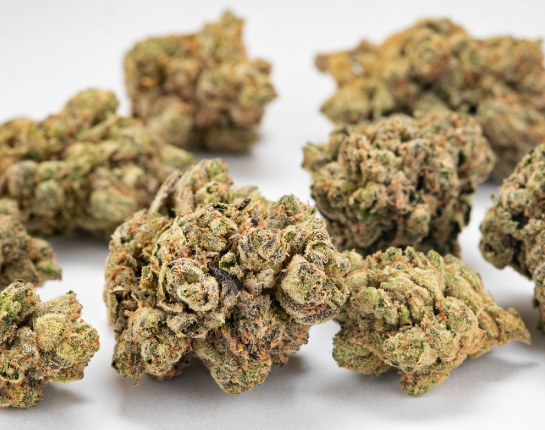 The “entourage effect” is different combinations of all the cannabinoids and terpenoids complimenting each other to provide a more well-rounded sensation. A high THC percentage doesn’t necessarily mean it will produce the most significant lift. THC percentage isn’t the only factor that goes into the lift. A lower THC percentage may provide a stronger lift depending on the strain and the cannabinoids and terpenoids within it. Cannabidiol (CBD) The non-psychoactive compound found in the cannabis plant. Cannabinoid Chemical compounds that act on the neurotransmitters of the brain. The most common cannabinoids are THC (psychoactive) and CBD (non-psychoactive). Cure The process of controlling temperature and humidity over time to achieve proper moisture content, flavor and aroma post-harvest. Flower The industry term for the cannabis bud. It is the female flower that is harvested for consumption. Pistils Tiny hairs on the flower that can range from light yellow to deep red in color. 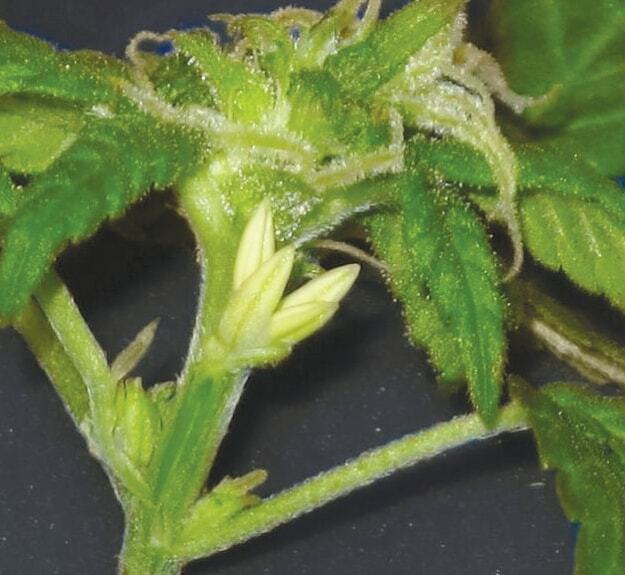 Pistils are important for reproduction, as they collect pollen from males, but they contribute very little to the potency and taste of the flower. Stamens The male reproductive part of the plant. Female cannabis plants are the most widely used for consumption, so stamens are not attractive features in a cannabis crop. Terpenoids The flavor and aromatic compounds of cannabis. Tetrahydrocannabinol (THC) The psychoactive compound found in the cannabis plant. Trichomes Tiny crystal-like resin glands covering the flower that contain the flavor and aromatic components of cannabis as well as the cannabinoids. The most common cannabinids are THC (psychoactive) and CBD (non-psychoactive). Good Chemistry Nurseries founder Matthew Huron developed S.T.A.T.S. as a guide to evaluating the essential aspects of the cannabis flower. The guide was created in conjunction with Colorado-based master cultivators Duncan Cameron, Scott Toland, Heath Byington, and Stephen Spinosa. The group brings decades of growing expertise and a passion for producing the finest cannabis. 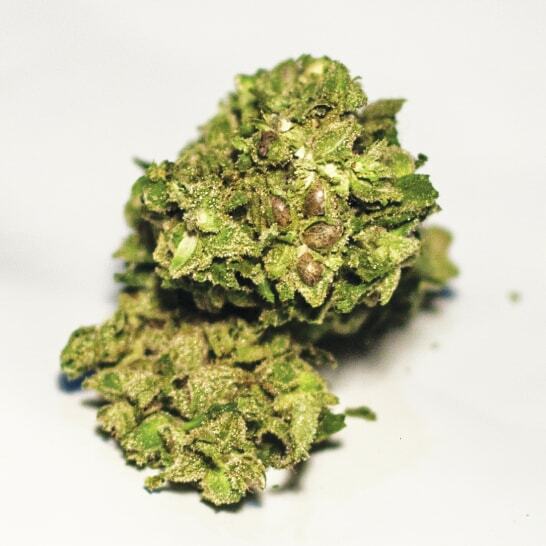 Widely recognized as one of the most experienced marijuana cultivators in the United States, Huron brings nearly two decades of experience to the cannabis industry, and has established one of the nation’s most sophisticated nursery programs, with grow operations that produce world-class products at the highest levels of quality, reliability, and consistency.